Look at that inside front cover! Card and I.D. pockets, a zip pocket for money, a gusseted pocket for bigger things. 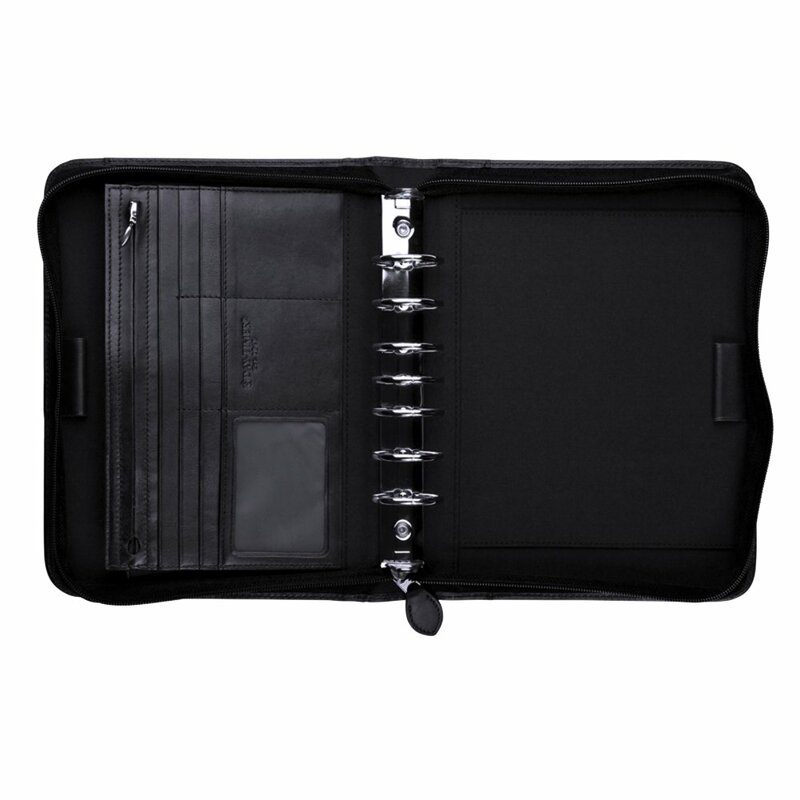 Plus a quick-access pocket on the outside. 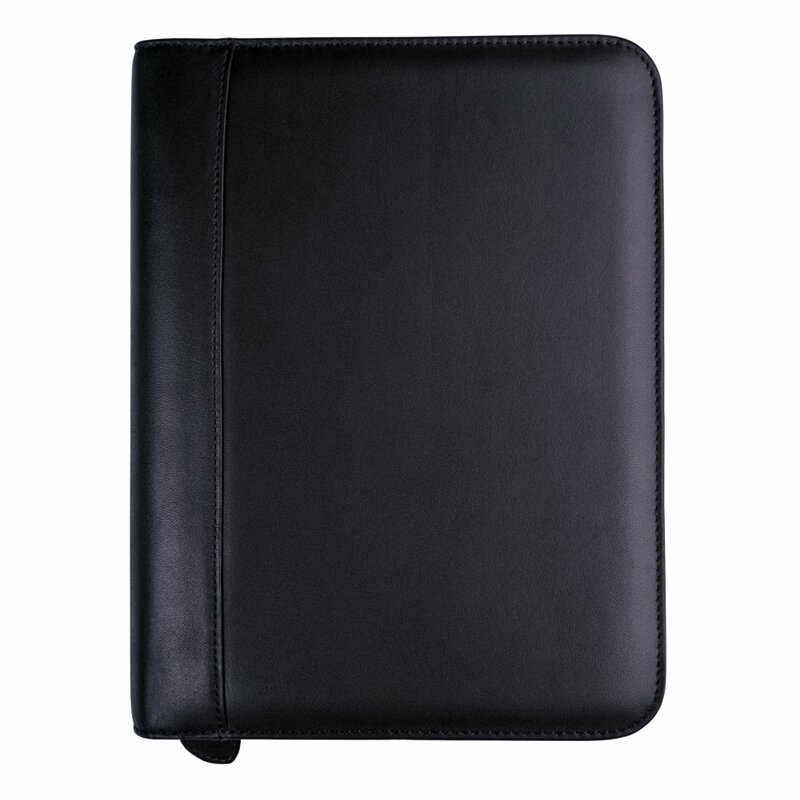 Covers are soft, luxurious leather with a fine grain and semi-gloss finish.